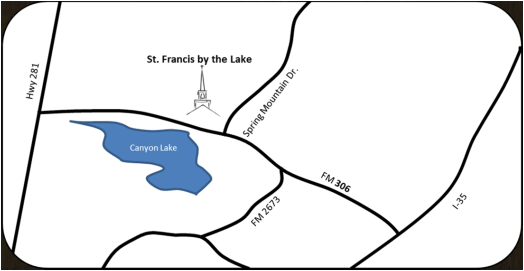 Those seeking answers about Christianity or about St. Francis by the Lake, and those interested in renewing their understanding, are invited to Inquirers Classes. Inquirers may join at any time; information missed will be presented again as needed. The International Order of St. Luke the Physician is an ecumenical organization dedicated to the Christian Healing ministry. Healing is an important part of Jesus' ministry and is intended to be a part of His disciples' work in every generation. In addition to sponsoring healing services, members of this ministry seek God’s grace to study and learn, and minister to all whom God sends. The very nature of the ministry causes it to extend beyond the parish and into the greater community. If you believe you are called to this very special ministry, please contact us. These groups meet in the parish hall to study either the Bible or a spiritual book that will help us in our walk with Christ. Cursillo is a three day weekend program that explores and renews our Christian Faith. It gives church members the tools and "rules of life" to enthusiastically share the joy of knowing Christ with others in their everyday lives. To obtain additional information about Cursillo in the Diocese of West Texas, visit www.dwtx.org/index.php/prayer/Cursillo.